Accommodates weekly or bi-weekly pay periods. Maintains time in case of power outages. Automatic day/date and month changes. 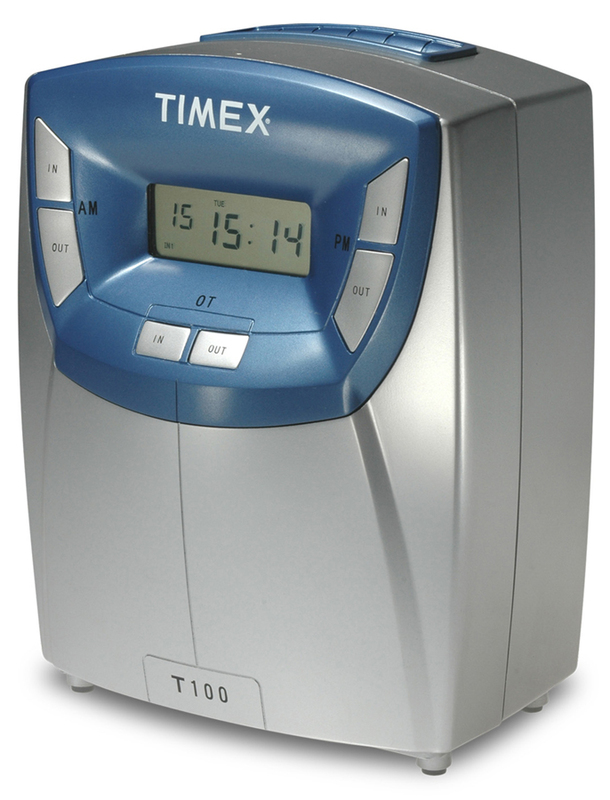 Programmable print format: day/hour/minute, 12-hour or 24-hour format. Mounts easily on wall or desktop. Two-color printing highlights early or late punches. Programmable audio signal to indicate work start and stop times. 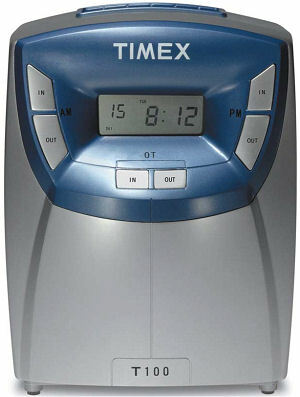 Time card print synchronized with digital display.